The importance of car lights cannot be overlooked. Most people think, it is only to be used during night driving, however, there are times, these need to be used during the daytime as well. This includes the brake lights, which comes on, every time you put the feet on the brake pedal. But this shouldn’t be done continuously in traffic due to the glare of traffic behind you. Moreover, these can be used when visibility is reduced but needs to be turned off when visibility comes back to normal as this could result in the mishap with a blinking of an eye. The car lights one of the critical automotive components which eases your visibility and tell others about your presence and avoids the collision. It is mandatory to check the car lights every now and then in order to avoid confusion on road. You need to check them once in a while when you are alone. Simply turn off all the lights and walk around the vehicle to see if all lights are illuminated. All the lights and its components are important and have been given specific duties to perform like indicator lights are responsible for telling other drivers that you want to turn. Basically, motor lights are all about safety and communications. Car lights are no immune of wear and tear. Like every other component, the shine of automotive lights starts to lose its efficiency. It happens mostly because of the long use, dirty car light covers or could be an outcome of a failing alternator. While looking for car headlights, people should know that HID lights tend to last more as compared to the Halogen bulbs. A quick inspection from an expert can light the way for you. Another important part of car lighting system is fog lights. A majority of car owners do not know when these specialized lights to be used. As the name suggests, these are to be used during thick fog as these are designed to prevent the headlight from penetrating through water droplets in order to light up the road ahead. 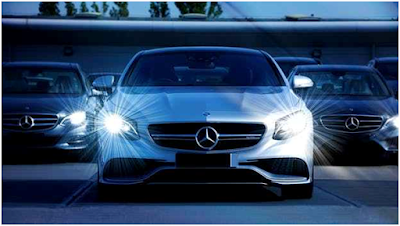 When it happens, light coming from headlight reflects back into the eyes of the driver making the issue even worse. 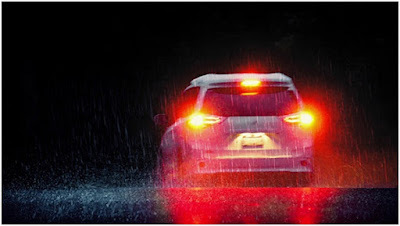 During such course of the action, the driver needs to turn off the headlight and switch the fog lights on to illuminate the road in foggy weather. 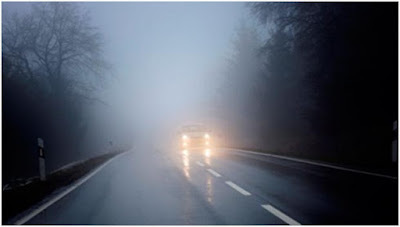 Moreover, the driver should always turn the fog lights off at night in order to prevent temporarily blinding the oncoming vehicles. Such lights are not designed to be used in clear nights. In case, the driver wants to use fog light during the night for better visibility, they should turn it off when they see traffic coming towards them just like they do with high beam. It does not make sense to blind the driver coming with speed of over 100kmph. Another form of lights being used in an automotive is brake lights and turn signals. They both basically communicate the other vehicle about your intention. It is essential for other drivers to know if you are about to slow down or taking a turn to prevent any accident. The automotive brake lights should be bright and red with a broken glass. Where to buy car lights parts in India? With a large number of vehicles running on the road, the need for parts also increased. The auto lights serve as your communication to other drivers whether you want to overtake them or looking to turn. In order to find all types of car light parts, log on to boodmo.com and browse the online catalogue offered by various suppliers to buy online. Moreover, you can compare the car light price list and get the spares delivered to your doorstep. Message: I hope that you have enjoyed 'Importance of Automotive lights' article on Tips2secure. However, if you want me to deliver more items, then please share my post. You can use Social Sharing Widget provided at the end of every post. After all, Sharing is Caring!